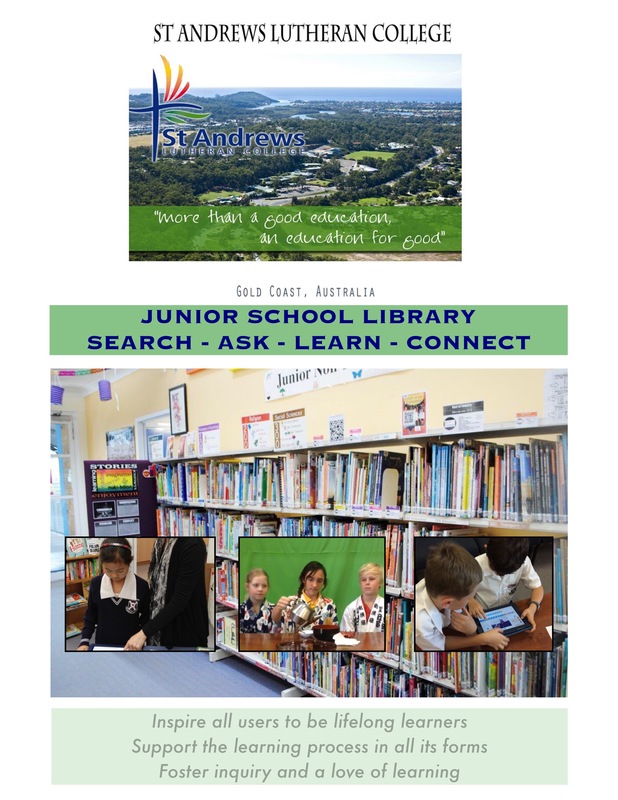 The Junior Library blog page is a direct link to what is happening in the Junior Library. The Junior Library is not only a place to read and borrow books, but we are also able to help you with your UOI, research tasks, ICT and much more. If you wish to make a suggestion about the Junior Library or a recommend a book you have read either post a response here or go to the Junior Library Chatroom (password required). Join the READING CLUB @ EDMODO or become a FRIEND OF THE LIBRARY or if you are in Yr 5 & 6 become an Library Mentor or ICT Mrntor. Are you interested in ICT? Want to help other students in the JS School with ICT? Come see me to learn how and become an ICT MENTOR. I like Martial arts books by Paul Collins. I love the twisted journeys there the best. I recomend it for people who wish they could chose the story at direrent times of the book. I lik fariy magic books. i like nacey drew books they are fun to read. I like to read zac power and tranformers because thay are funky and you go on misson and you get pitcure in the middle. I like Paul Jennings and Andy Griffiths because Ilike the way they write. I love Anna Wilsons storys because it has got so much adventure in it. The book I am reading is Fariy Stories. I love Andy Griffiths’s story’s because he makes up really funny books! I also like Paul Jenning’s storys because he uses his imaganary stuff! I also love Roald Dahl! I like books that are funny and interesting. I like reading chapter books and sometimes iformation books. I like just books by andy griffiths and Paul Jennings because they are funny. i like reading funny books. I like captian under pants and Andy Griffith because they’re funny and interesting. I am reading News for dogs It is a good book. things to do with mum.